Accent Contracting was founded in 1987 by Mike Arnold. The company was originally known as Today’s Maids Inc. In 1996 Today’s Maids Inc. bought the company assets of Accent Improvement from Mike Larson. At that date the company became Accent Contracting. Over the past 25 years Accent Contracting has gained the trust of the entire metro community in providing many types of service work which include: Remodeling Design-Build, Handyman, House Cleaning, Janitorial, Carpet Cleaning and Emergency Services. In 2009, Accent opened its Showroom to expand the Kitchen, Bath and Flooring aspects of the business. In 2004 Tom Spaeth was brought in as a partner. Tom is responsible for overseeing all Remodeling. 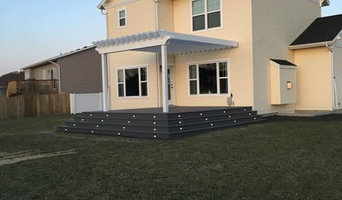 With 20 plus years under its belt, Accent Contracting has worked for thousands in the metro area. They have been proud to serve the business community, the medical industry, the local colleges & of course private property owners. AccentContracting is also a Design-Build company that specializes in getting customers the design help they need when remodeling. This includes small room renovations to major additions for both commercial and residential. Accent also provides products for the new construction industry as well. Accent Contracting’s Showroom has a variety of displays for any budget. Customer’s have the convenience to pick out products right here in the store for their projects. We provide a lot of cash and carry items as well. The other unique aspect of buying from Accent is the vast installation knowledge. Accent delivers projects as budgeted with designs that meet customers’ expectations. Nobody likes surprises or disappointment from an ill planned project. Accent staff is seasoned veterans that know the industry inside and out. We are remodeling contractors from Fargo ND. Been in the business since January 2017. Members of the BBB and enjoy doing our work to the best of our abilities. As contractors, we like to stay on top of current trends to create one of a kind, up to date spaces for our clients. Do you need more living space for your house in Richville, MN? Home remodeling services from JBS Builders LLC in Richville, MN, can help. We are committed to providing quality workmanship to all of our valued customers. 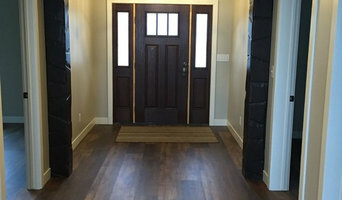 Whether you want to add on an extra bedroom or finish your basement, our professional contractors and designers have the expertise and experience needed to create the look you envisioned for your house. We look forward to working with you in Richville to transform your house. With over 16 years of experience, you can trust our business to provide quality work that will exceed your expectations. No matter the size of your project, we'll gladly take it on. When you come to us, we'll first sit down and discuss your preferences, then we will present you with your options. Before we begin, we will establish a budget and timeline with you so that everyone is on the same page. When your bathtub is looking drab or is becoming difficult to navigate, Luxury Bath Of Fargo can help. From installing new tubliners to walk-in tubs, our products and service are sure to please. All of our products are constructed with Microban technology – a built-in, antimicrobial product protection which disrupts the function of bacteria, helping to resist against stains, odors, and deterioration. In addition, we also use the EXCLUSIVE LuxBond Tub Adhesive System which ensures that no water, mold, or bacteria will form between your new liner and existing tub. It is a 5-seal system that is poured between the two and hardens for a perfect, permanent fit. We are licensed in North Dakota and Minnesota and are members of the Fargo Moorhead West Fargo Chamber of Commerce and the Home Builder’s Association. Call us today at 701-356-5090 for a FREE estimate – you can also arrange a consultation by appointment or view our full display at West Acres Shopping Center. Hi, my name is Jamie Kenowski and I am the owner of Kenowski Remodel & Tile, LLC. I have worked in the construction industry for the last 17 years. I started out doing residential construction in Moose Lake, MN and I moved to Fargo in 2008. Shortly after I moved to Fargo I realized I wanted to work for myself and I wanted to work with homeowners. I enjoy working with them and making their home fantasies turn into realities. So I started saving and I launched Kenowski Remodel & Tile, LLC in 2013. With over 30 projects completed in the first year, I know my move has been the right one. Did you know that kitchen and bath remodels can net over 100% return to a homeowner according to HGTV. Not only will you like the look of your new space, but I might be able to give you a bit more equity in your house as well. Call me today to schedule your free evaluation and bid. Terry Branden Construction LLC is located in Moorhead, MN 56560. We specialize in remodeling projects. Licensed, bonded, and insured, Robert Jacobsen Remodeling LLC never makes compromises when it comes to quality. 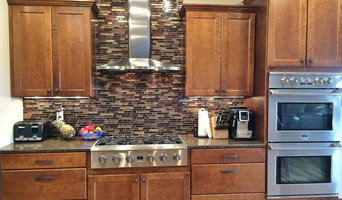 We have over 30 years of experience in the Moorhead MN remodeling business, so you don’t need to worry about anything. Our remodeling company takes its job very seriously, and this is why we always achieve impeccable results. Bathroom or kitchen remodeling require an intricate amount of experience in order to be performed properly. There a lot of things that need to be properly calculated and prepared in advance before any actual service. What does a Fargo kitchen and bath remodeling expert do? Licensed North Dakota kitchen and bath remodelers are contractors who specialize in altering the structure of an existing space, rather than building one from the ground up. Because he or she must deal with a previous builder’s work, the job can get more complicated than new construction. You might wonder why they often specialize in both kitchens and bathrooms, but if you think about those two spaces, they actually have a lot in common. Kitchens and bathrooms include an abundance of fixtures that require careful planning and installation, including sinks, faucets, tubs and toilets that all need water hookups and drainage. They also use similar materials, such as tile and stone for countertops and flooring, due to the nature of their use. So it makes sense that Fargo kitchen remodelers and bathroom remodelers be one in the same. A bathroom or kitchen remodeler translates architectural plans from page to reality; some are also trained to provide design services so that you don’t have to hire a separate pro. Like a general contractor, a kitchen and bathroom remodeler in Fargo, ND is responsible for hiring and supervising subcontractors and providing materials when necessary. They also should have a thorough knowledge of North Dakota building codes and construction-related legal issues, as well as current design and product trends. Here are some related professionals and vendors to complement the work of kitchen & bath remodelers: Woodworkers & Carpenters, Kitchen & Bath Designers, Interior Designers & Decorators, Architects & Building Designers, General Contractors. Find a Fargo kitchen and bathroom renovator on Houzz. Narrow your search in the Professionals section of the website to kitchen and bathroom remodelers in Fargo, ND. You may also look through photos of Fargo, ND spaces to find kitchens or bathrooms you like, then contact the bathroom or kitchen remodeler who worked on it.